We have worked with many clients that want to develop their own on-site painter training program, but are not sure where to start. We understand the hurdles, time and cost involved in developing a customized training program. Whether you’re looking to improve your current training program, or want to start from scratch, the Iowa Waste Reduction Center’s painter training staff can help. We have developed training software and curriculum that can be customized to meet your facilities’ training and cost needs. 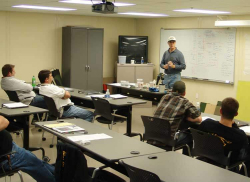 Joining the IWRC’s Train-the-Trainer Program is the most beneficial and effective option for facilities that want to have continued painter training on-site. 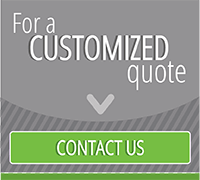 To get started, you will select from the already developed training components that will be combined to create your own program customized to your production, your materials and your facilities’ needs. IWRC will then provide education to your trainers on how to most effectively use the software as well as the hardware (if purchased) to conduct painter training at your own facility. This gives you the flexibility to schedule initial and refresher training that fits your production schedule.